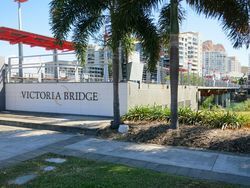 A plaque recognises Victoria Bridge as a National Engineering Heritage Landmark. 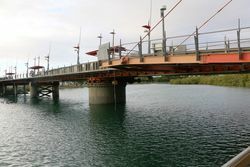 The central-pivoting swing bridge was constructed by G. H. Royce & Co. in 1889. 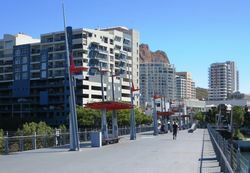 It is one of only two of its type constructed in Australia. John H Daniells, Queensland Government Engineer for bridges designed this bridge and it was constructed by G H Royce & Co of Sydney and London. 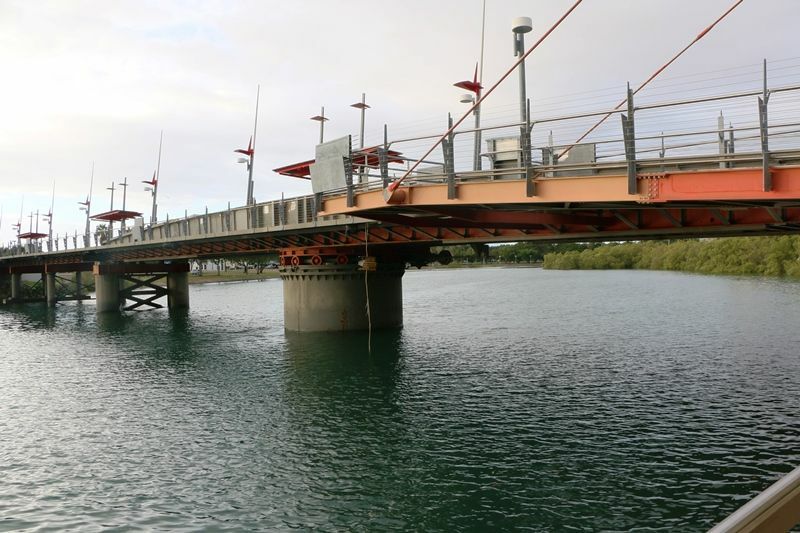 It was opened on 2 July 1889 and is 550 ft (168 m) long with a 150 ft (46 m) swing span. Power was supplied by a gas-fuelled, flame ignition Crossley Brothers Ltd (Otto Patent) 6 H.P. (4.5 kW) four-stroke engine driving hydraulic pumps anf rams. The swing span did not open after 1925 and the bridge was closed to vehicles in 1975.